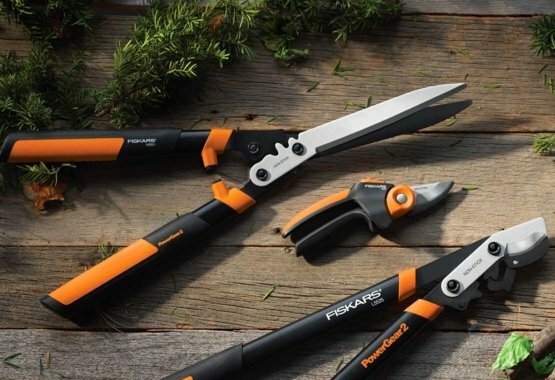 Just when we thought Fiskars couldn’t get any better, they go and release the new improved PowerGear2 range! So what’s new you ask? In addition to the renowned patented PowerGear technology which provides up 3X more power on every cut, the PowerGear2 products feature a new Ultrablade coating. This Ultrablade coating bonds to the blade for an edge that stays sharp five times longer than non-treated blades, reduce blade friction and offers excellent rust protection. Amazing! There’s three exciting tools in the PowerGear2 collection: a PowerGear2 Pruner, a PowerGearX small lopper and a PowerGearX hedge shear. The PowerGear2 Pruners are so comfortable. They feature a contoured handle with a unique rolling design that fits the shape and natural motion of your hand. The PowerGear2 Shears are so much smaller and lighter than other shears, due to the PowerGear mechanism. This means there’s a drastic reduction of strain on your hands, wrists and muscles when you’re reaching to cut a branch or are going a big day of gardening – as we often are! The updated design includes modified gears and an innovative cam mechanism to optimise your cutting power in the middle of the cut where the branch is thickest and you need it most. They’re really great, and it’s amazing to see a company continue to update and work with new technology to bring us the best quality and smartest products!